Why not put it to a game in your gadget? 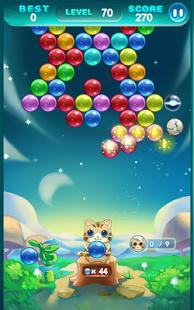 The Bubble Cat lets you play with cute and colorful which you need to match with each other. It is always a fun idea to play with colors. 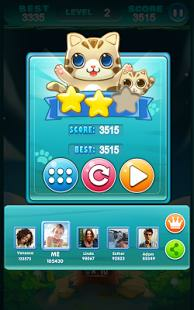 A cat on the bottom of your screen will be in-charge in launching the balls. What you need to do is make sure the before launching the balls it is aimed towards the ball with the same color. 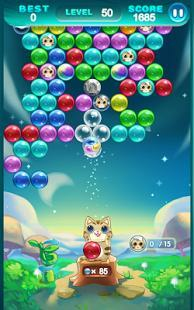 Complete 80 levels and make sure to not confuse with the colors of the balls.